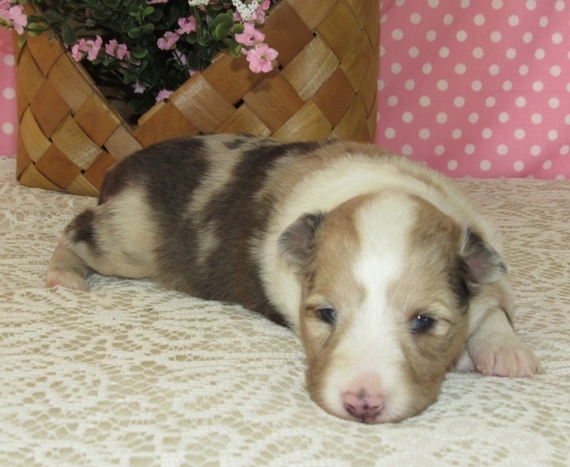 Brixie is a gorgeous little girl and from wonderful parents. 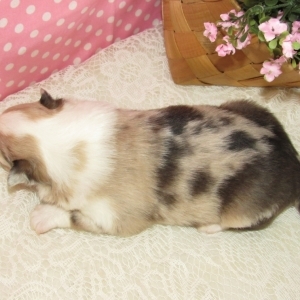 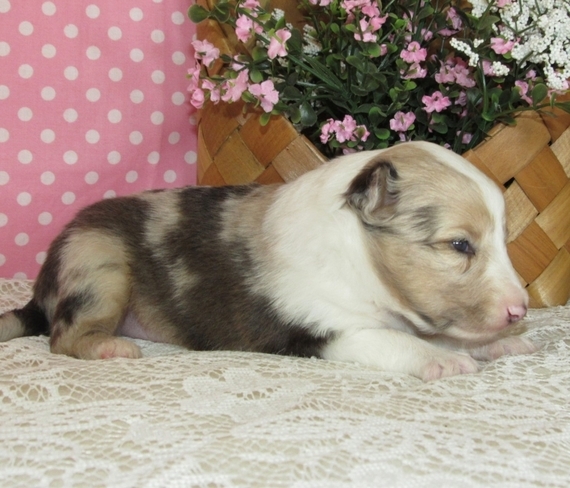 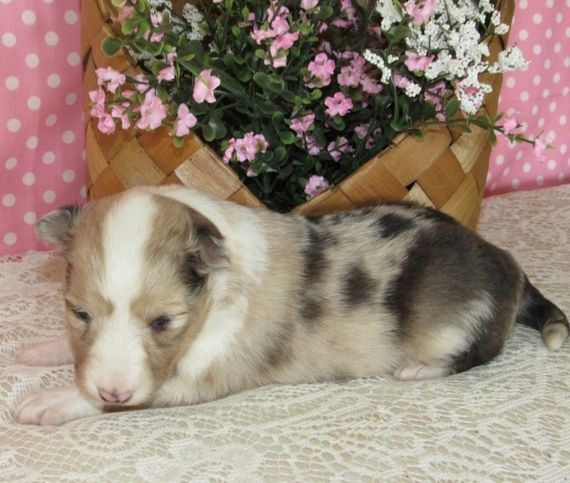 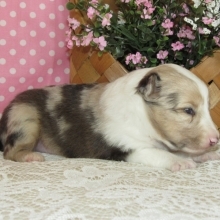 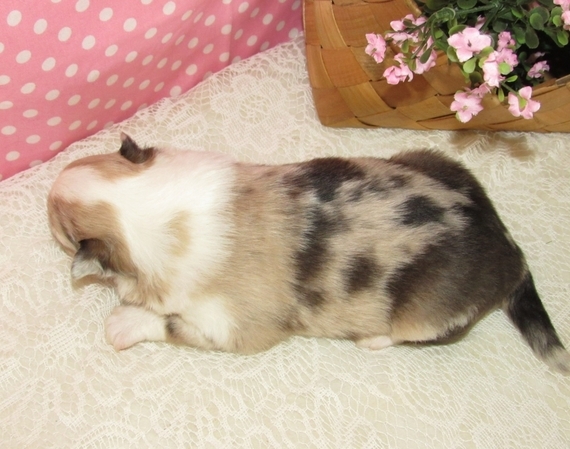 She is a sable and merle puppy who has a real nice coat and full collar. 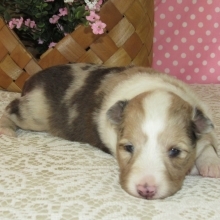 She should make a great companion or playmate for anyone. Brixie will arrive socialized, microchipped for your convenience and current on her vaccines and vet checks. 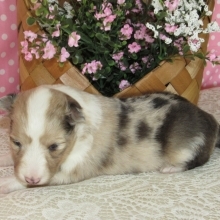 I've been raising Shelties for several years and sharing them with others that enjoy them as much as I do has been a pleasure.